When Nelson Mandela created a milestone piece of post-apartheid legislation by officially mandating the establishment of a truth commission to investigate human rights abuses during apartheid in 1995, he wasn’t necessarily creating a novel vessel of transitional justice.1 Indeed, there had been fourteen truth commissions elsewhere in the world before the South African Truth and Reconciliation Commission (TRC).2 Yet, as this essay will show, South Africa approached and implemented the idea of a truth commission in its own way. At the same time, South African society was changed intensively by the TRC. The TRC will be examined as an appropriated immaterial type of judicial technology to understand this mutual influence.3 More specifically, the Social Construction of Technology (SCOT) theory will be used to analyze this dialectical relationship between technology and society. SCOT holds that not only does technology transform society (as claimed by the technological determinism line of thinking), society also transforms technology and people can act as agents of change.4 According to SCOT, technology should be viewed within the societal context which gives its meaning. SCOT is ideal to understand both the genesis and the impact of the TRC in South Africa. The first part of this essay will examine how and why South Africa appropriated the concept of truth commissions. The second section will then proceed by briefly discussing the impact of the TRC on South African society. 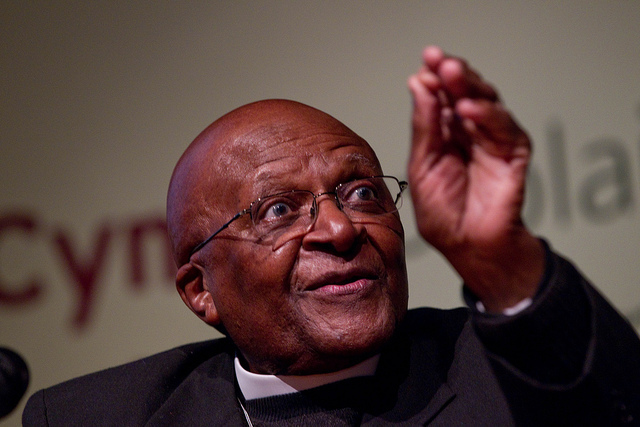 The South African “third way” was made even more exceptional and suitable by linking the amnesty solution to Ubuntu philosophy.15 As TRC chairperson Archbishop Emeritus Desmond Tutu points out, describing/translating Ubuntu is not easy.16 Tutu describes Ubuntu as the humanitarian notion of the connectivity and mutual influence of all humans.17 Because according to Ubuntu someone becomes a human only through other humans, attacking another human being also damages the self. Reconciliation and forgiveness are therefore the only solutions to restore the humanity of both victim and perpetrator according to this “traditional African jurisprudence”.18 Ubuntu has clear religious foundations.19 Indeed, South Africa is a very religious country and as Ebrahim Moosa points out, “[i]n order to understand the moral language of the TRC [...], it would be [...] instructive to get a sense of the moral language that prevailed in South Africa prior to this event.”20 The TRC was subsequently not a secular institution because it was considered more suitable to the South African context. For example, Tutu insisted on starting off and closing victim hearings with a prayer and hearings would often be conducted in churches.21 Furthermore, most TRC commissioners were staunch churchgoers and four of them were priests.22 Michael Onyebuchi Eze points out how Ubuntu became widespread and even commercialized during the political transition.23 According to Eze, Ubuntu was sold to the public because it was portrayed, not entirely false, as an African solution stemming from pre-colonial times and befitting the political context of the day.24 But one should indeed never forget that, as Graeme Simpson points out, “[g]eneralized claims that victims are willing to forgive perpetrators who confess, or that they are merely seeking acknowledgement and symbolic reparation, are no more reliable than similarly broad claims that victims need or demand punitive justice.”25 After all, ordinary South Africans were not consulted during the legislative drafting process and some of them did not want the perpetrators to receive amnesty under any conditions.26 Ubuntu justice should thus not be seen as a logical outcome of the political negations but more as a concept that was used to convince South Africans to forgive and reconcile instead of retaliate. Lastly, it should be noted that the TRC differed from previous truth commissions in other ways. It was the first truth commission with a witness protection program and with such strong powers of subpoena, search and seizure.27 It was definitely the largest truth commissions ever since in terms of resources, staff and budget.28 The TRC was also the first to conduct institutional hearings and special inquiries into persons of interest during apartheid.29 The TRC was thus to emerge as a creatively appropriated vessel of transitional justice which came into being during the specific context of the negotiated revolution. As the following section will point out, the TRC will have both predictable and less predictable influences on South African society. The TRC as the foundation of the ‘rainbow nation’? When it comes to the legacy of the TRC archives, a similar impact can be discerned. Even though the TRC archives were to be transferred to the National Archives in Pretoria and made public, the bulk of archival material remains unprocessed or off-limits.44 The South African History Archive (SAHA) is working hard to gain access through legal and political channels.45 However, as a previous director of the institute notes, perhaps the closing of the archives is not a matter of poor administration but a deliberate attempt to close the doors on the past and let ‘bygones be bygones’.46 The above thus clearly illustrates how the TRC shaped and continues to shape South African society in both positive and negative ways. This short essay has hopefully illustrated how an African society is very much possible of drastically changing how we think about a certain piece of technology by creatively appropriating and designing it to serve local needs and expectations.47 The unique approach to amnesty is a striking example. Even though perhaps there is no standard type of truth commission and the concept logically requires appropriation to local contexts, a comprehensive discussion on truth commissions is unthinkable without mentioning the TRC.48 One could even argue that this essay dispels a widely held view that African societies are lacking innovation by showing how South Africa innovated the concept of truth commissions.49 Indeed, some maintain that the TRC and its form of “restorative justice” offer a suitable alternative to criminal justice.50 At the same time, the essay pointed out how the TRC was created within the context of the power dynamics of the negotiated revolution and that it should not be seen as an invention of ‘the people’. Nevertheless, the TRC shaped, and continues to shape, South African society as a whole. Not only should the TRC thus be viewed as an appropriated and socially constructed piece of judicial technology, it should equally be considered as a fundamental building block of post-apartheid South Africa. Adam, Heribert and Kogila Moodley. The negotiated revolution: society and politics in post-apartheid South Africa. Cape Town: J. Ball Publishers, 1993. Austen, Ralph and Headrick Daniel. “The Role of Technology in the African past.” African Studies Review 26 (3/4), 1983, 163-184. Eze, Michael Onyebuchi. Intellectual History in Contemporary South Africa. New York: Palgrave Macmillan, 2010. Gewald, Jan-Bart, André Leliveld and Iva Peša. “Introduction: Transforming Innovations in Africa: Explorative studies on appropriation in African societies.” In Jan-Bart Gewald, André Leliveld and Iva Peša (eds.). Transforming Innovations in Africa: Explorative studies on appropriation in African societies (Leiden: Brill, 2012), 1-16. Hayner, Priscilla B. “Same species, different animal: how South Africa compares to Truth Commissions worldwide.” In Charles Villa-Vicencio and Wilhelm Verwoerd (eds.). Looking Back, Reaching Forward: Reflections on the Truth and Reconciliation Commission of South Africa (Cape Town: University of Cape Town Press, 2000), 32-41. Hayner, Priscilla B. Unspeakable Truths: Transitional Justice and the Challenge of Truth Commissions. New York: Routledge, 2011. Krog, Antjie. Country Of My Skull. London: Random House, 1998. Meiring, Piet. “The baruti versus the lawyers: the role of religion in the TRC process.” In Charles Villa-Vicencio and Wilhelm Verwoerd (eds. ), Looking Back, Reaching Forward: Reflections on the Truth and Reconciliation Commission of South Africa (Cape Town: University of Cape Town Press, 2000), 123-133. Moosa, Ebrahim. “Truth and Reconciliation as performance: specters of Eucharistic redemption.” In Charles Villa-Vicencio and Wilhelm Verwoerd (eds.). Looking Back, Reaching Forward: Reflections on the Truth and Reconciliation Commission of South Africa (Cape Town: University of Cape Town Press, 2000), 113-122. Simpson, Graeme. “’Tell no lies, no easy victories’: A Brief Evaluation of South Africa’s Truth and Reconciliation Commission.” In Deborah Posel and Graeme Simpson (eds.). Commissioning the past: understanding South Africa’s Truth and Reconciliation Commission (Johannesburg: Witwatersrand University Press, 2002), 220-251. Tutu, Desmond. No future without forgiveness. New York: Doubleday, 1999. Verbuyst, Rafael. “History, historians and the South African Truth and Reconciliation Commission.” New Contree 66 (July), 2013, 1-26. Verdoolaege, Annelies. “The debate on truth and reconciliation: A survey of literature on the South African Truth and Reconciliation Commission.” Journal of Language and Politics 5 (1), 2006, 15–35. Verdoolaege, Annelies. Reconciliation Discourse: The Case of the Truth and Reconciliation Commission. Amsterdam: John Benjamins Publishing, 2008. Wilson, Richard. The Politics of Truth and Reconciliation in South Africa: Legitimizing the Post-Apartheid State. Cambridge: Cambridge University Press, 2001. Van Zyl, Paul. “Dilemmas of Transitional Justice: The Case of South Africa’s Truth and Reconciliation Commission.” Journal of International Affairs 52 (2), 1999, 647-667. Constitution of the Republic of South Africa Act, No. 200 of 1993, Section, 251. Promotion of National Unity and Reconciliation Act, No. 34 of 1995. Red Dust. Dir. Tom Hooper. British Broadcasting Company, 2004. Film. Truth and Reconciliation Commission of South Africa. Report. 1998 [volume 1]. This paper has previously been presented at the African Studies Centre Leiden (ASC) beginning this year and was the outcome of the seminar “Theories and the Empirical in African Studies”. 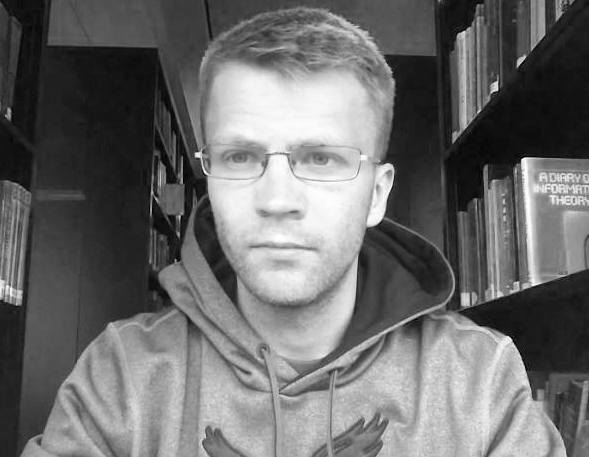 Rafael Verbuyst is a research master student in African Studies at the African Studies Centre (Leiden). He has a bachelor degree in History from Ghent University (Belgium). His research interests include a way range of topics concerning contemporary South Africa, with a focus on the interplay between past and present in the context of reparation politics and social movements.